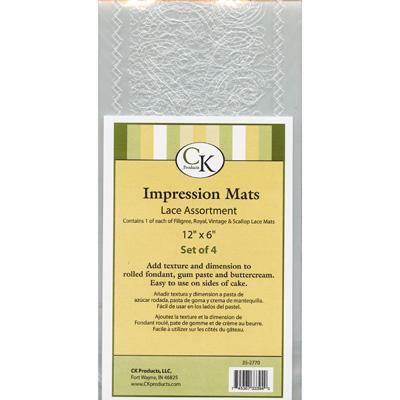 These mats will let you add textured and dimension to rolled fondant, gum paste & buttercream. 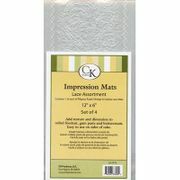 They are each 12" x 6" which will allow for easy use on sides of your cake. Each set contains One of each of the following lace patterns: Scalloped, Filigree, Vintage & Royal. They will clean up using a warm solution of water and mild dish detergent, Rinse thoroughly and dry before using.